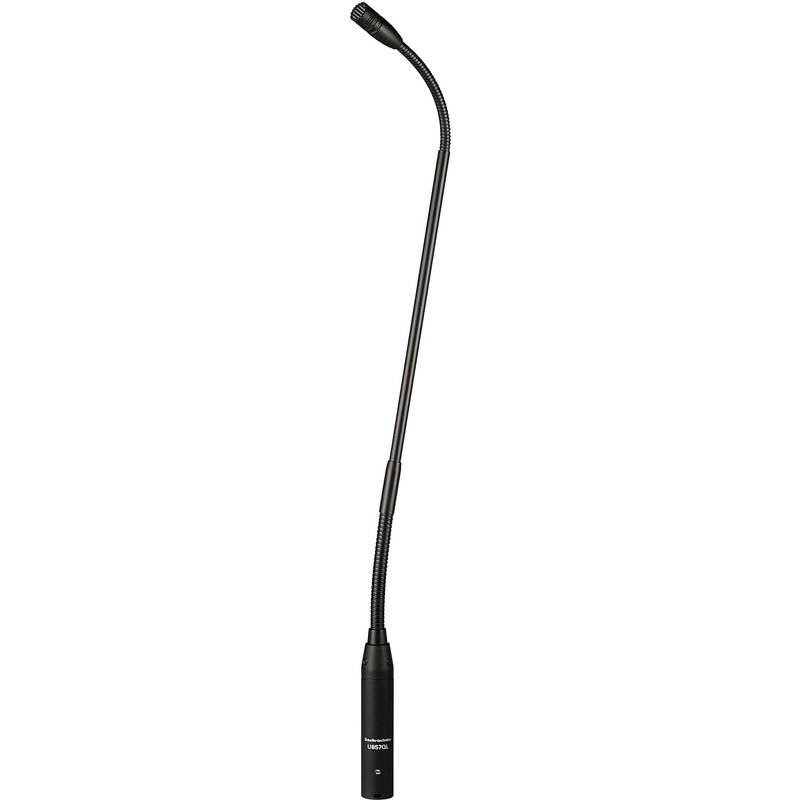 The Audio-Technica U857QL is a flexible gooseneck microphone designed for outstanding performance in schools, houses-of-worship, boardrooms, government facilities, etc. The microphone capsule features a cardioid polar pattern for superb rejection of off-axis noise and ambiance. Box Dimensions (LxWxH) 19.2 x 5.0 x 2.9"
U857QL Gooseneck Microphone is rated 5.0 out of 5 by 3. Rated 5 out of 5 by Ulysses from Good buy! Very good! Adjusting the mic by each speaker is quite. Rubber on the mounting base helps a lot! Rated 5 out of 5 by Dan the Pastor from What we hoped for! We use this product for church services. It is streamlined and attractive. Classy! Rated 5 out of 5 by George K from Great Mic for Church Cantor Got this mic for Church Cantor. It works great. I recommend it for this usage. I notice a lot of details talking about a battery powered phantom source, but perhaps that this one is not the version that works with a battery? Does this have a battery phantom source, or is there another model that does? This is the only gooseneck that comes up under the battery powered search filter. We use this mic with a wireless mic base unit that is part of System10 from Audio-Technica. The mic base is the phantom p/s. The combination provides good and clear service for our needs. We use it as a podium mic. What Country is this microphone made in?